At Aerolite we design and manufacture a superior quality array of Aerobic & Fitness Mats for you. These Aerobic Mats are designed and manufactured using high quality Japanese synthetic rubber, Eva foam and other allied materials in compliance with the set industry norms & standards. 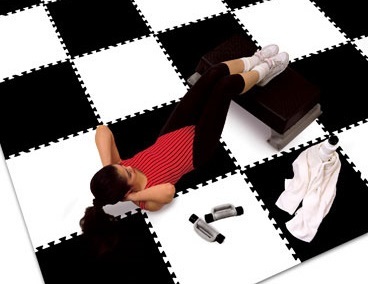 The Aerobic & Fitness Mats offered by us are a unique combination of comfort and durability. These Mats are washable, damp proof, durable and resistant to wear & tear. Available in a wide variety of sizes, thickness and length, these Aerobic Mats can be customized as per your requirements and are offered at industry leading prices. Double hinge construction – Easy to fold. Non-slippery surface for extra safety. Provide support to spine, hips and other joints.